As we close in on tax filing deadline, metal prices have remained virtually unchanged this week – except for Platinum – up $50 since last Friday’s close. Platinum supply is a little hit or miss right now – we’re out of one oz bars for the moment – but we do have several varieties of BU one oz coins ready to ship. 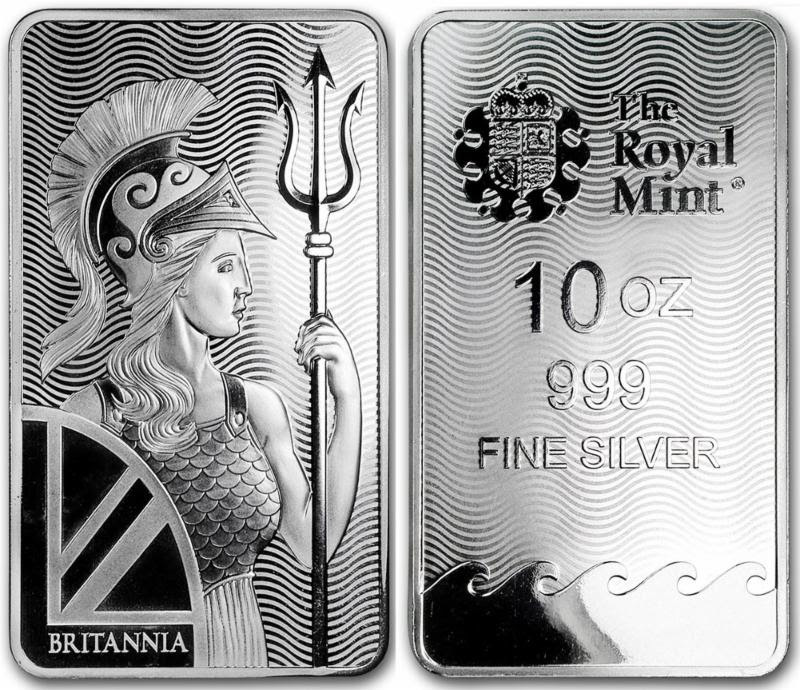 In early January, we got a supply of 100 oz Royal Mint silver Britannia bars. They sold out instantly and we’ve never been able to get more. Today, we received notification that the 10 oz bars are finally arriving Monday. How long will these last at spot +1.29/oz? 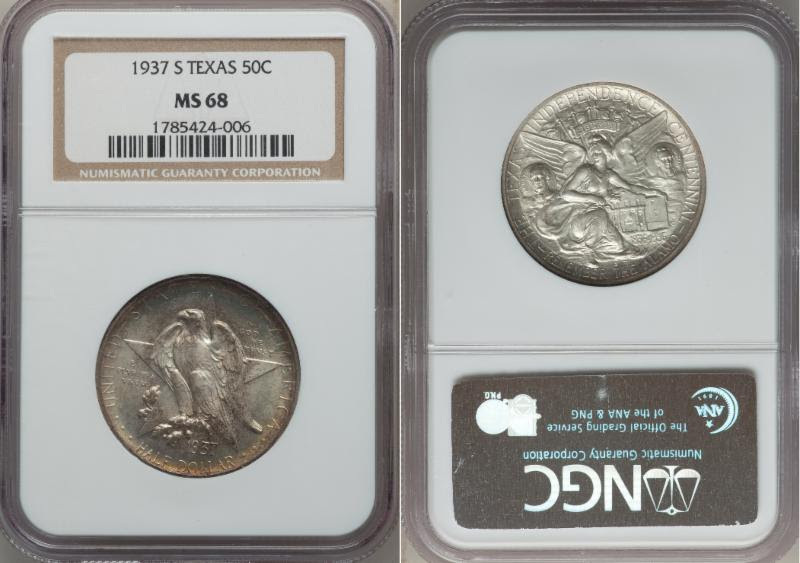 This week’s rare certified coin specials include a sweet 1865 Penny, an iconic and extremely rare 1937-S Texas Commemorative silver half, a spectacular 1883-CC Morgan Dollar and a great looking 1893-S $10 Liberty Head gold eagle. After a week or two of a roller coaster ride, we’ve had a relatively stress free week for metals. As noted earlier, Platinum appears poised for take off. I’ve seen nothing to counter last week’s theory on where Platinum could be headed. Thanks for reading! We really appreciate it. Have a great weekend! The Royal Mint’s Britannia bars are a hit! Back in January, we put the 100 oz bars up on our website and literally within 24 hours, we had to take them back down. We couldn’t acquire any more stock. Still can’t. So, we were pleasantly surprised to get notice today that the 10 oz bars are rolling in. Last week’s supply of one oz Valcambi Suisse bars are sold out. Sorry. We expect to have some more available mid-week. The good news is that we have been able to lock in on some one oz platinum coins from Australia, Canada and Austria. To recap from last week’s newsletter, we’ve heard talk about how auto makers had switched from platinum to palladium to manufacture catalytic converters, crushing the price of platinum and causing palladium to go though the roof. As the story goes, while palladium took off (appreciating nearly 90% in just seven months), platinum all but collapsed and these shrewd automakers began to stockpile the deflated platinum. Now, Platinum has quietly gone up 15% in the past six weeks while Palladium had suddenly dropped 14% in two weeks. Hmm. I’ll admit it, I love the fancy 5. In this ‘highest known” grade, it is even nicer. 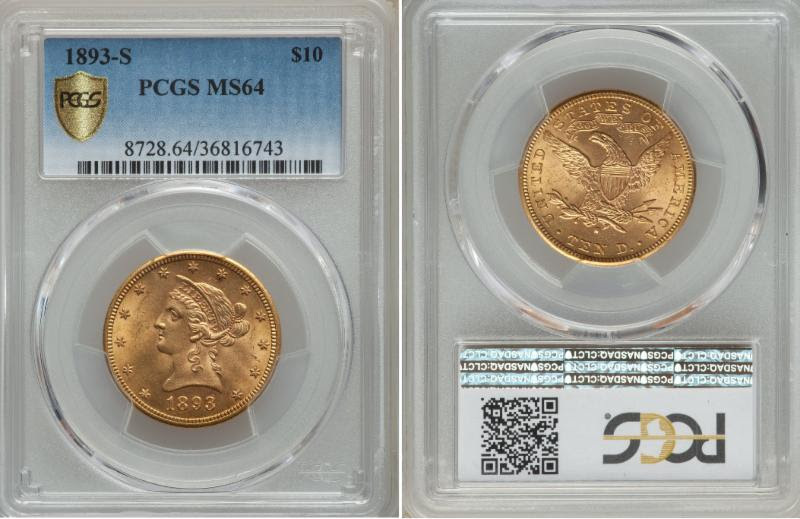 Rarity: PCGS has only graded 10 of these at MS66, with none higher! 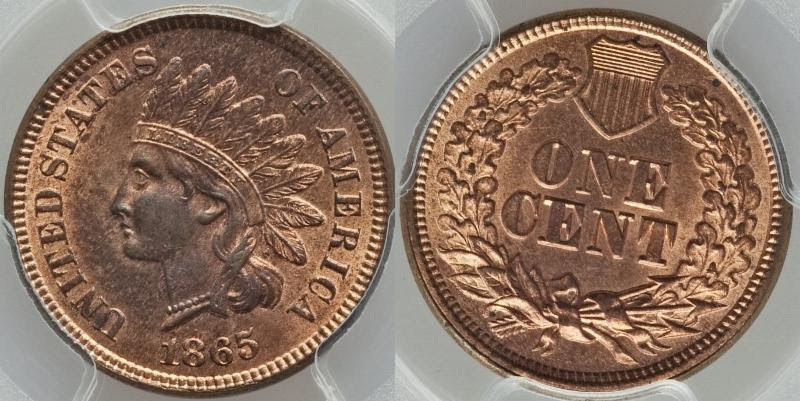 I’ve seen brand new one oz silver rounds with this exact design, but this is the first time I’ve seen an original of this very rare and iconic Alamo Commemorative. 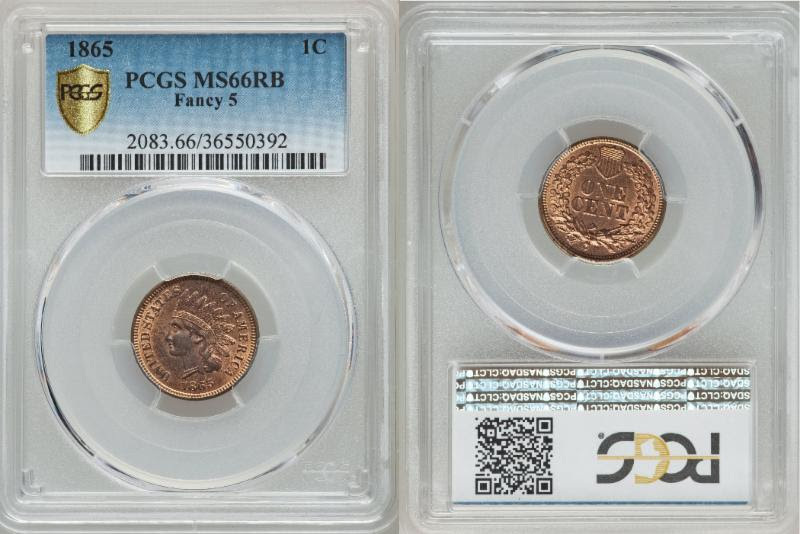 NGC has only ever graded 9 coins as high as this MS66, with none higher. $5,995 – WAY LESS THAN HALF! That is one FROSTY, nearly flawless Carson City Morgan. 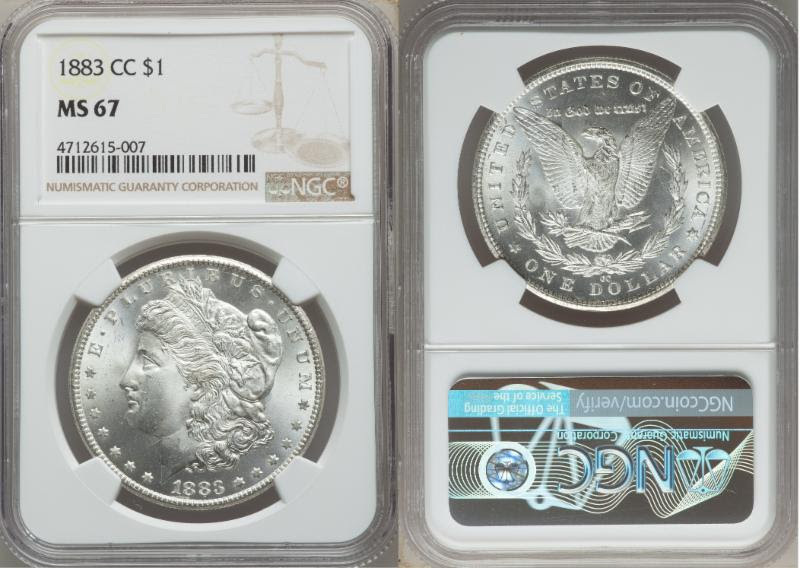 In fact NGC has only ever graded one 1883-CC Morgan higher (and it is listed at $67,500!). NGC price guide is $4,250. Your price is only $3,550. MS64? Really, PCGS? That’s it? REALLY?! Tough graders! Your price is only $6,250. Please pardon the group shot, but I wanted to drop this into the newsletter as quickly as possible. Individual reverse images available on request. 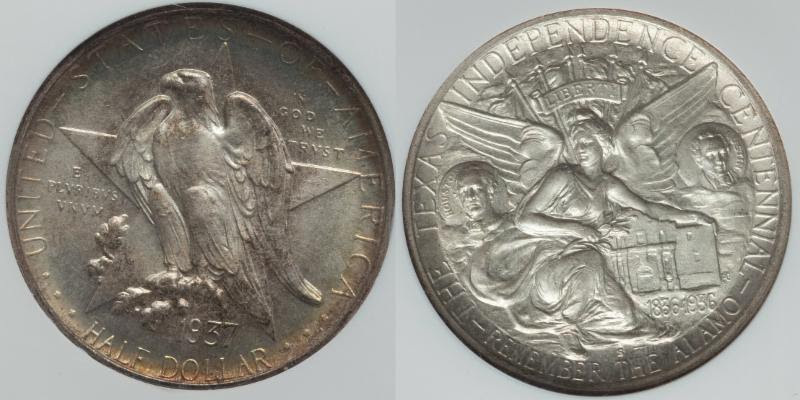 There are holders, there are old green holders (OGH) and then there’s this 1904 $20 Liberty. I think it’s older than “OGH”.